Do you have a spare £1000 lying around? Then Gucci has the shoes for you. Gucci's Flashtrek Sneakers (£1080) are now available for preorder, and we can't look away. We've discussed the "ugly" shoe trend ad nauseam here at Who What Wear—even dating back to 2016—but Gucci has truly outdone itself with these spectacularly over-the-top versions. 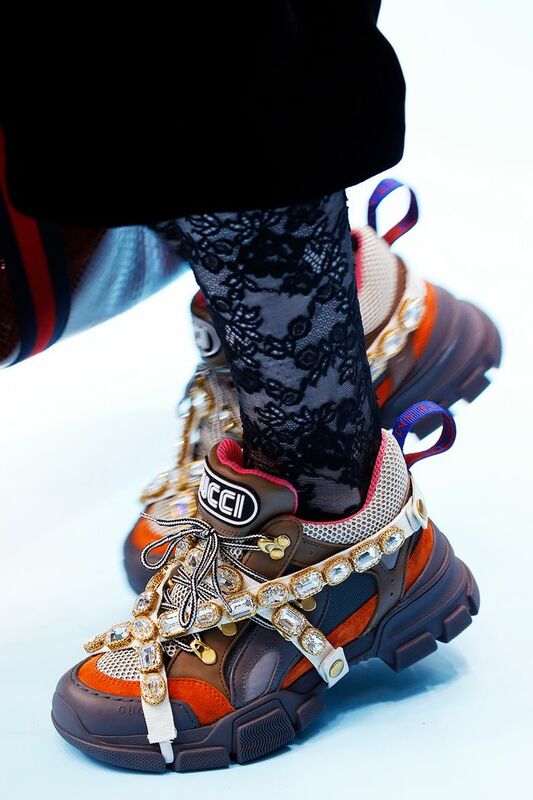 Gucci Flashtrek sneakers on the A/W runway. Boasting removable crystals straps (well, a girl needs choice), the sneakers are a combination of several different trends. "Bejeweled straps race over and around a riot-of-colours sneaker amped up on a sculpted, mega-chunky flared sole," the product description reads. 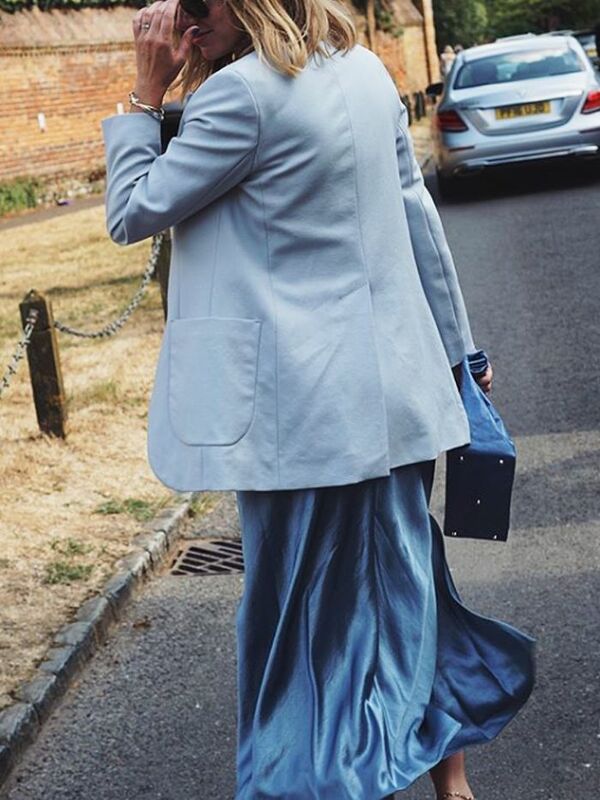 It's definite that they will make their way onto the street style scene, and we're pretty certain there will be copycats aplenty to hit the high street. This upcoming autumn is nothing if not very sparkly, after all. Scroll down to see the head-turning shoes, as well as Gucci's other new sneaker releases.